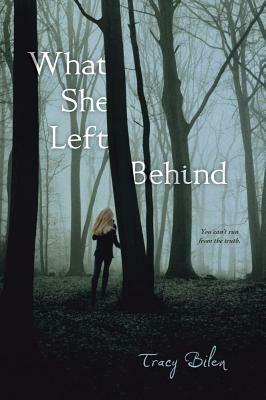 In this suspenseful thriller, Sara and her mother are going to secretly escape her abusive father—when her mother mysteriously disappears. With each day that passes, Sara’s more on edge. Her friends know that something’s wrong, but she won’t endanger anyone else with her secret. And with her dad growing increasingly violent, Sara must figure out what happened to her mom before it’s too late…for them both. Tracy Bilen is a high school teacher in Michigan where she lives with her husband and two children. She enjoys cross-country skiing and walks in the woods. You can visit Tracy online at tracybilen.com or on Twitter at @tracybilen. "In her debut young adult novel, Bilen takes us into the world of family secrets from a teen’s point of view. The ending includes a twist that will keep readers on the edge of their seats, and yet, once the book is closed, Sara’s story will remain with readers. This is truly a remarkable story of resilience with broad appeal for teens." "Quickly paced and with a dramatic conclusion." "Bilen reveals a chilling picture of domestic violence. Sharp prose and an increasingly tense plot make this debut a page-turner."